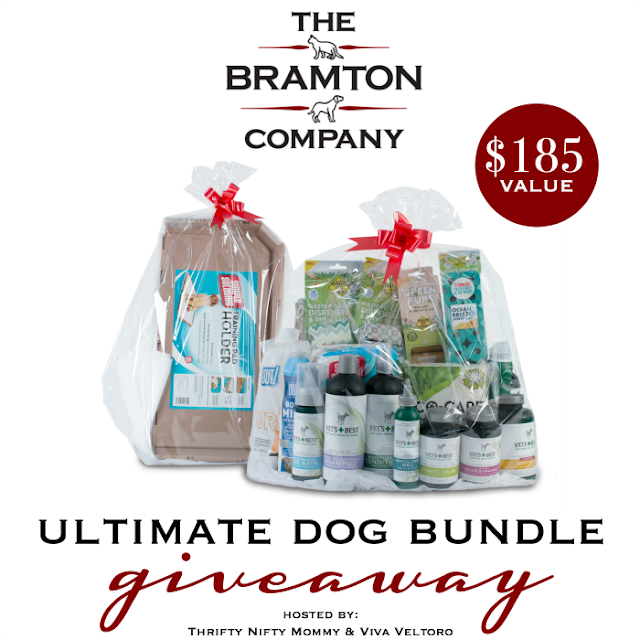 Love, Mrs. Mommy: Ultimate Dog Bundle Giveaway! $185 Value! Ultimate Dog Bundle Giveaway! $185 Value! What a wonderful bundle to win for your furry friend! $185 of pure doggy pampering! Good luck! Disclosure: This giveaway is hosted by Viva Veltoro and Thrifty Nifty Mommy, and generously sponsored by The Bramton Company. Thrifty Nifty Mommy, Viva Veltoro, and the participating blogs are not responsible for prize fulfillment. Please contact thriftyniftymommy(at)yahoo.com with questions about this giveaway. One winner will be randomly selected using the Giveaway Tools random selector and notified via email. Once notified, the winner will have 48 hours to respond or a new winner will be chosen. This giveaway is in no way associated with Facebook, Twitter, Instagram, Pinterest or Google. Void where prohibited.